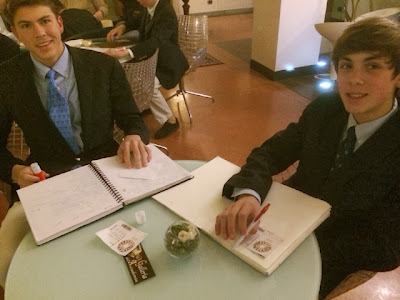 A sailor cannot see north, but knows the needle can. 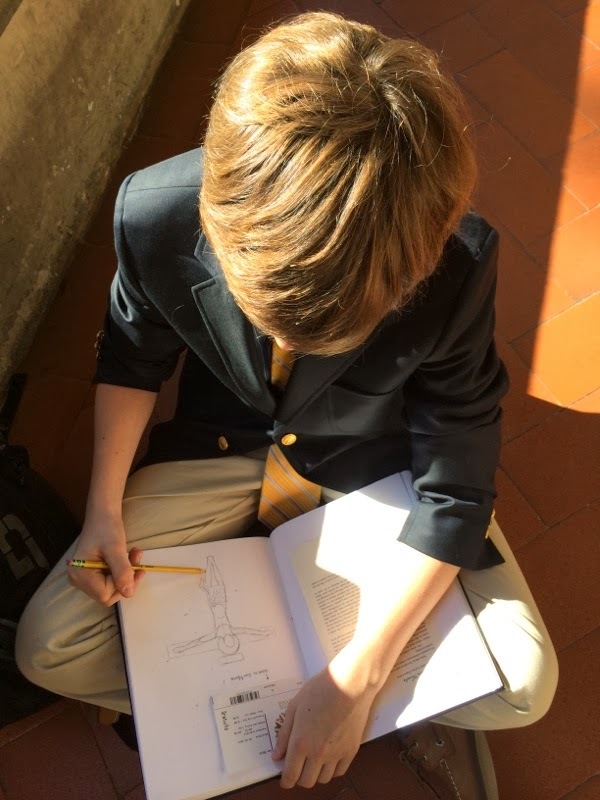 When the founders of Saint David’s first conceived the idea of our school in the late 1940s, they demonstrated a depth to their wisdom that has served the school much like the needle of the compass serves the sailor. 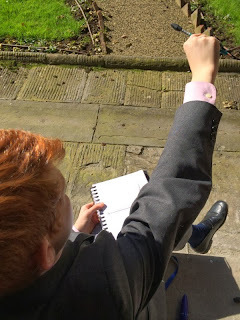 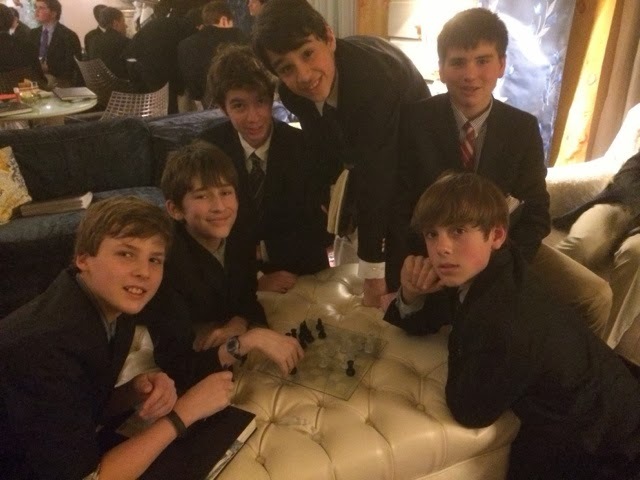 At the school’s inception, the ability to think critically about the ideas and issues of the wider world was considered extremely important in the education of boys aspiring to be good men. This imperative would later be found in the last phrase of our mission’s first sentence, in the words “critical analysis of ideas and issues . 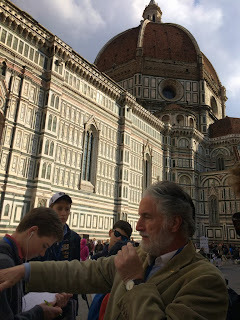 . . ” Whether sixty years ago, two thousand years ago, or today, there remain certain fundamental habits of mind, exercises of intellect, that are essential to highly educated, good men, no matter the time, decade or era. 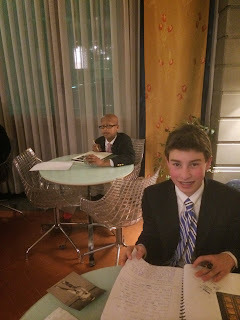 The cultivation of critical facility is one. 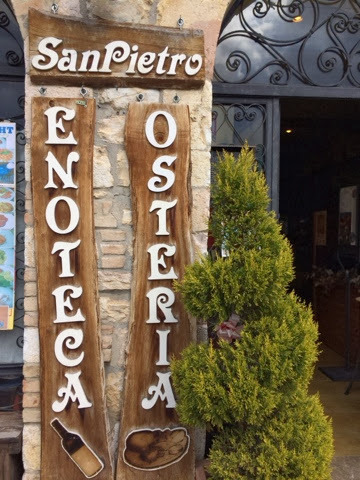 But to what end? 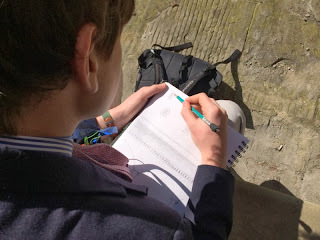 For what purpose this critical mind? 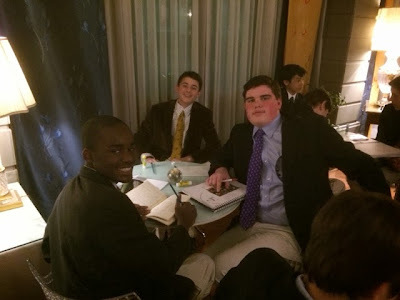 We define critical, in keeping with our classical tradition,as the division, the separation of an idea or issue into its smaller constituent parts. 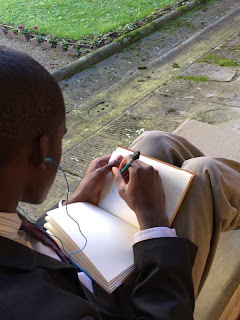 The derivation of the word “critical” is the ancient Greek word “krino,” which loosely translated means “I separate and I judge.” In addition to the breaking up of an idea or issue into its constituent parts, “critical” also calls for the exercise of judgment. A critical mind, therefore, is a mind that will break apart and examine the various positions on any idea or issue. It will then analyze the reasoning and assumptions behind each of the varying positions or perspectives, the sources of any supporting evidence, their validity, and the implications of each. 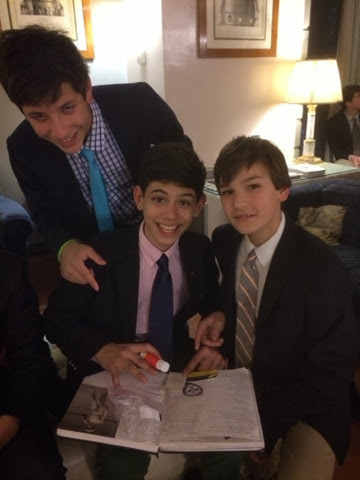 This will precede the formation of a conclusion or the exercise of judgment; and the judgment here is understood specifically in a forensic sense. Today the Intergovernmental Panel on Climate Change, a UN scientific panel, issued a sobering report about the most likely profound effects of global climate change. At Saint David’s, we feel compelled to do our part to address the situation. 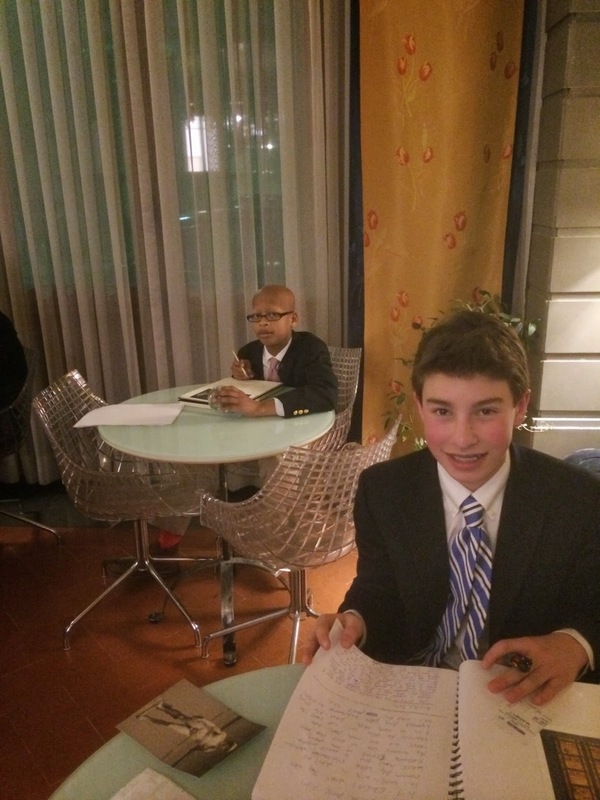 This year, we joined 27 other schools as charter members of the Green Schools Purchasing Consortium, an initiative of the Green Schools Alliance. Members of the Consortium have agreed to purchase an aggregated total of nearly 25 million kilowatt-hours of renewable energy for 2014 through Sterling Planet, the nation’s leading retail renewable energy provider. 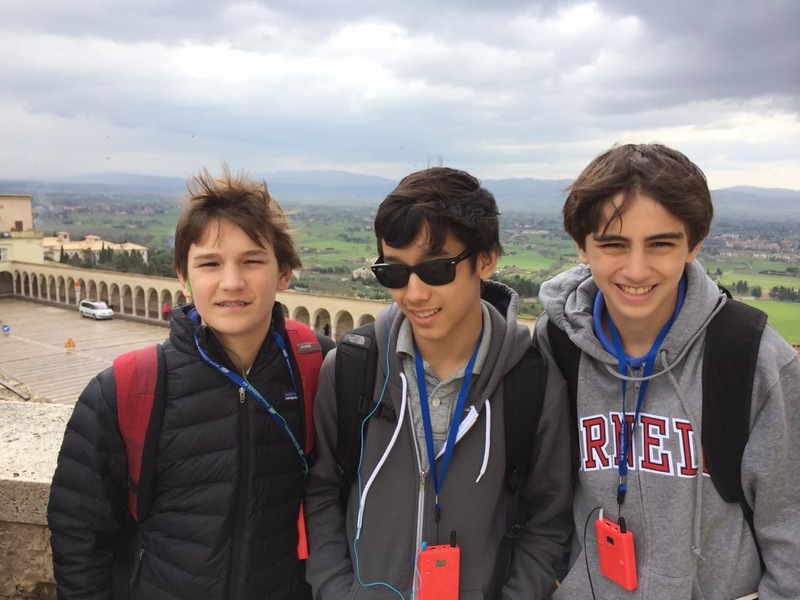 This energy will come from a blend of renewable energy certificates (RECs) from wind, biomass, and landfill-gas-to-energy projects nationwide. RECs help producers of renewable energy remain financially viable. 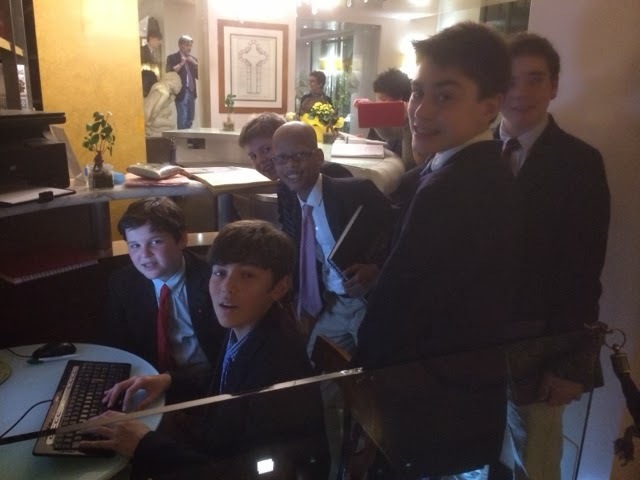 Joining the Green Schools Purchasing Consortium is a way for Saint David’s to do our part in support of lowering our carbon footprint. In addition, we have a very active Environmental Awareness and Action Committee that each year tackles an aspect of conservation and environmental protection. 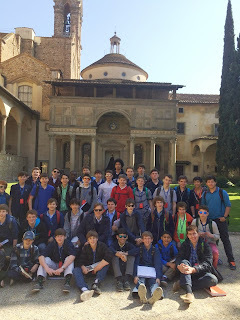 First S. Maria del Carmine for Maccacio, Massolino, Filippo Lippi then a long walk to S. Croce and the tombs of Galileo, DaVinci, Michelangelo, Dante, and Machiavelli and of course the Pazzi Chapel. 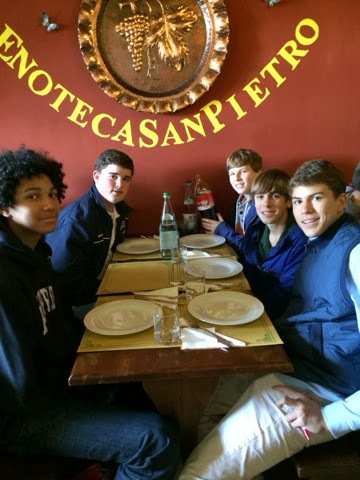 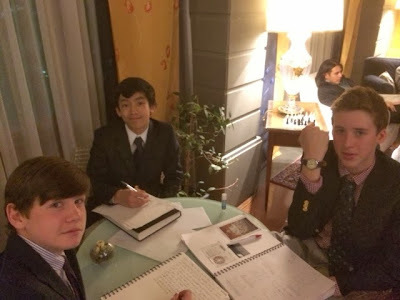 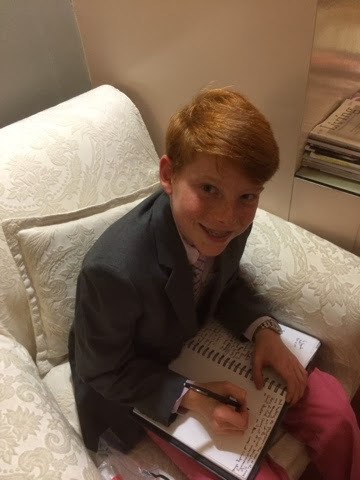 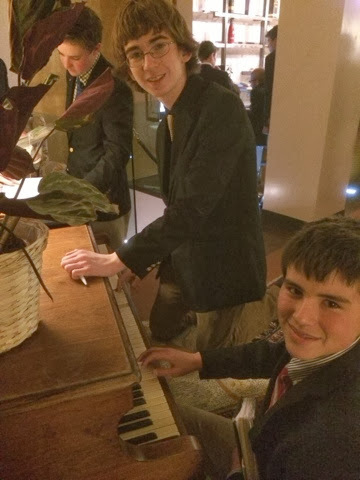 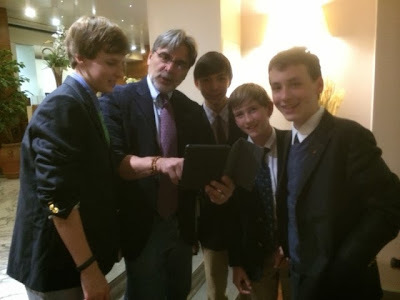 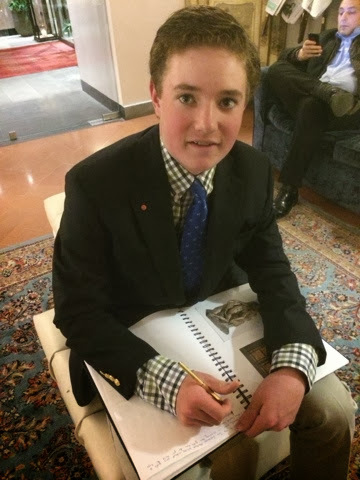 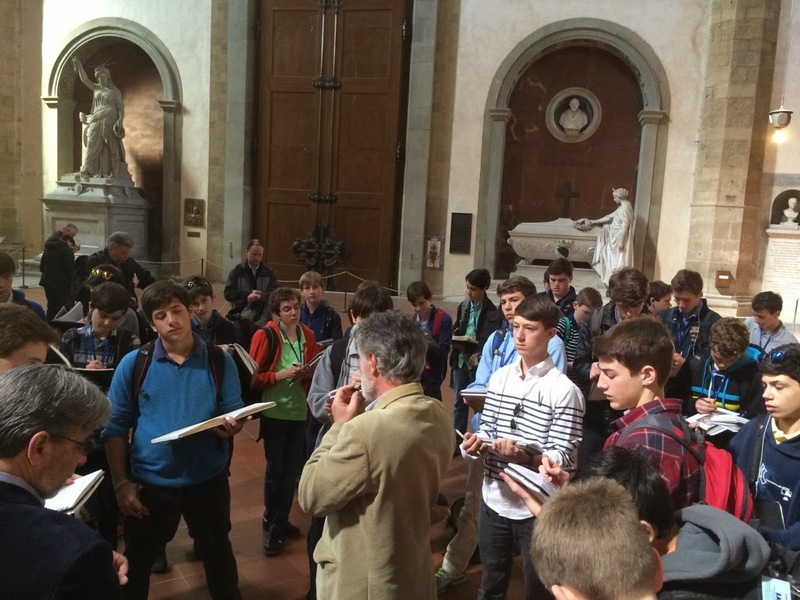 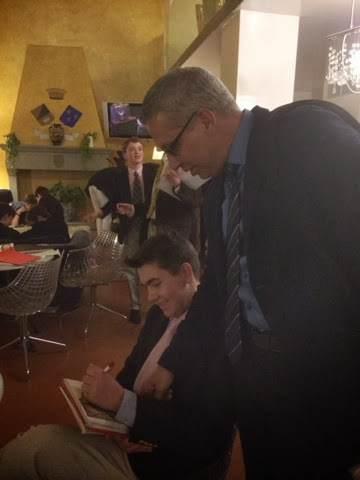 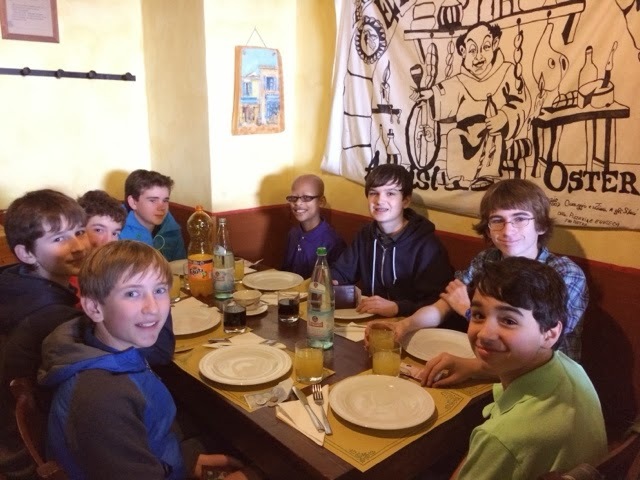 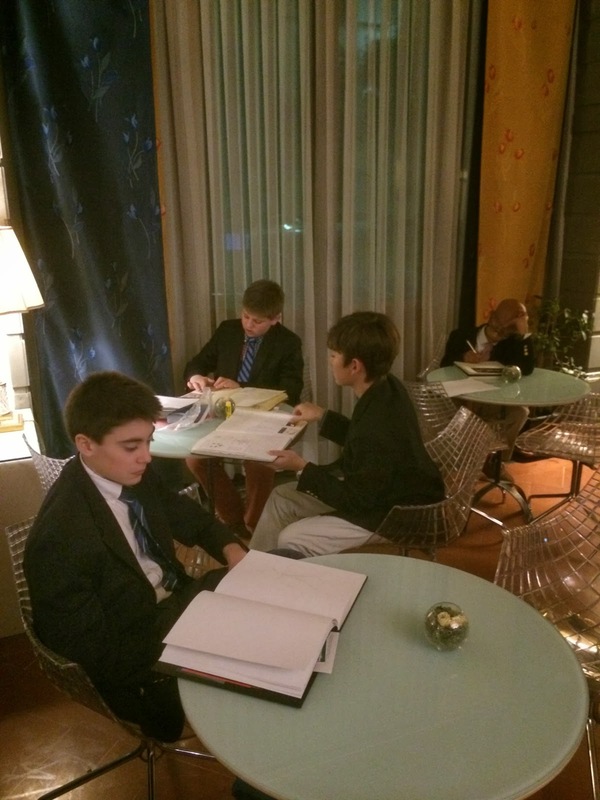 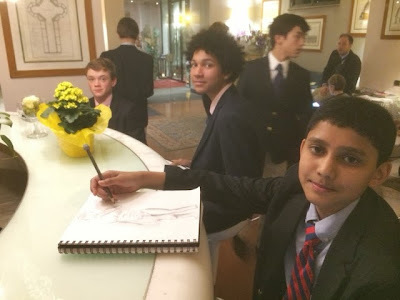 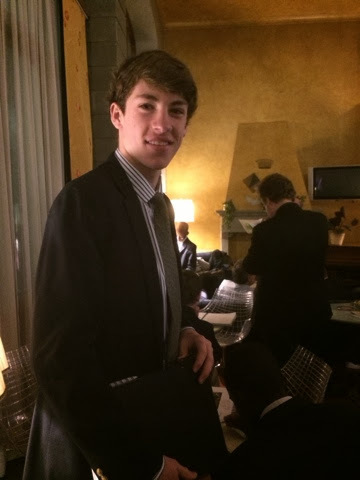 After visiting, critiquing and sketching the remaining three of our four Davids--Michelangelo's at the Accademia, and Donatello's and Verrocchio's both at the Bargello-- enjoying lunch at Finis Terrae, and sports all afternoon, the boys have just changed for dinner and are now working on their journals in our lobby. Another beautiful day! Our day ended with sports. 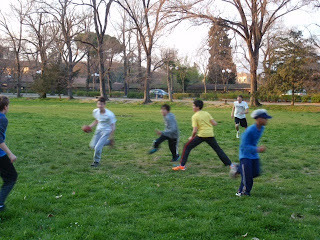 Here, a few of the boys are seen in a game of touch football. 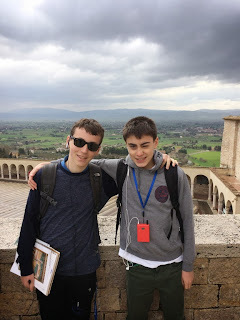 The field is huge. 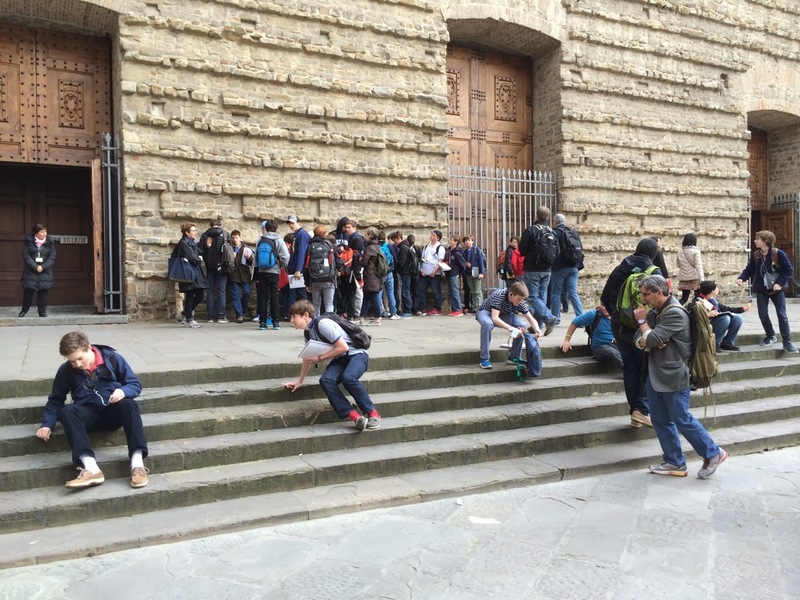 Some played catch or football, some sat quietly under a tree and listened to music or worked in journals, while other discussed philosophy and all things ancient history with Mr. R.
Lining up to enter San Lorenzo to see Brunelleschi's interior. 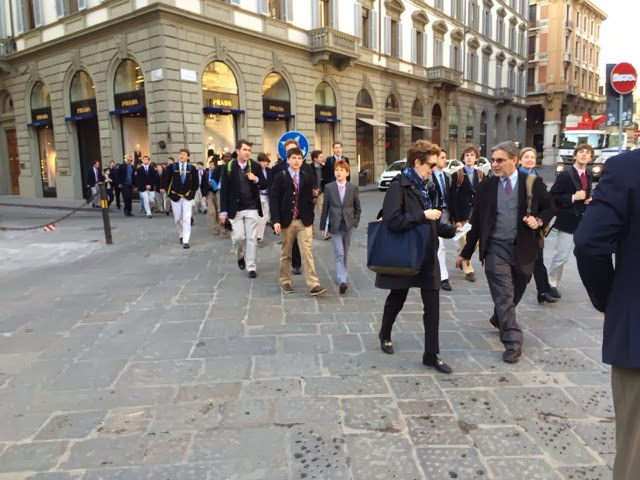 The S. Lorenzo Leather Market for a free afternoon will follow. It goes without saying that the anticipation is palpable ... for the shopping! The boys with Michelangelo's Pieta, sculpted toward the end of his life for his own tomb. 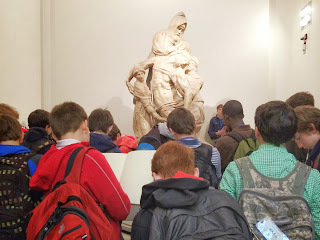 The face of Nicodemus is that of the sculptor. 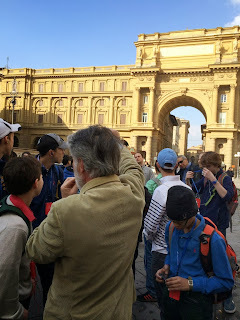 Ignazio introduces the boys formally to Firenze, first at Piazza Repubblica, then Il Duomo, the Bapistry and Ghirberti's Doors, S. Maria del Fiore's facade, and the idea of Florence as the "New York" of the Middle Ages. 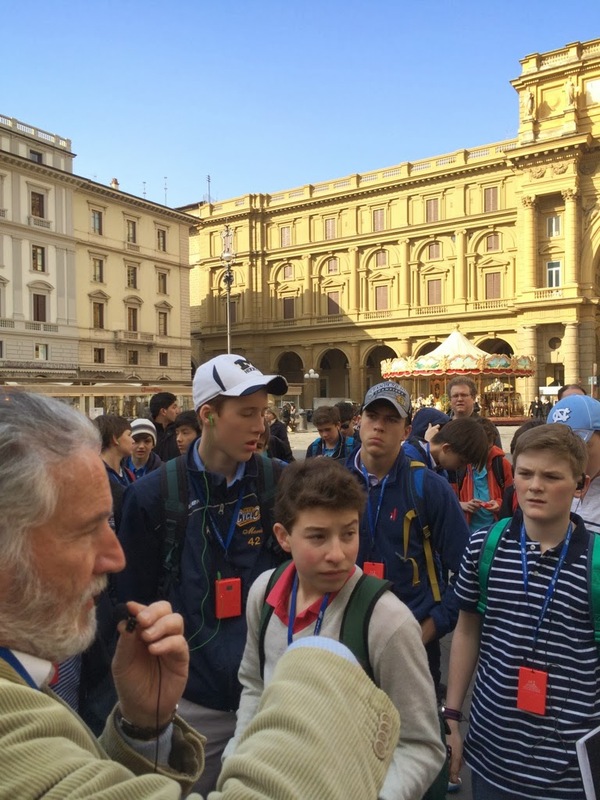 DC speaks presents to his peers on the facade of the S. Maria Novella. The boys are standing in the piazza of the same name. 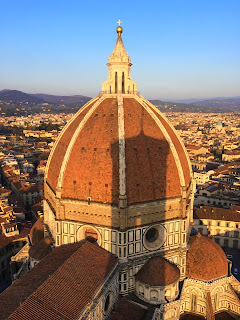 Notice the spectacular light of the setting sun. 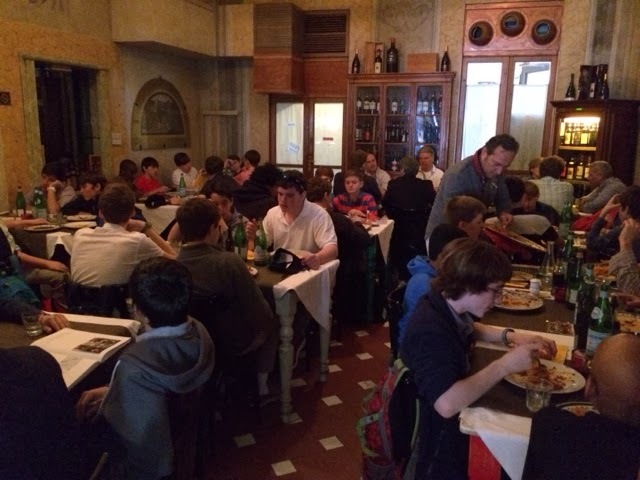 The boys have impressed all whom they have met, receiving praise and compliments at mass this morning, at S. Marco from the guards, from people in the street and from the restaurant staff at lunch. 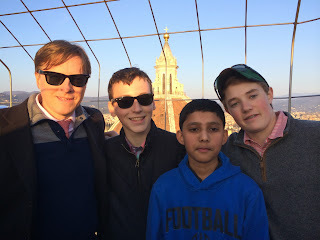 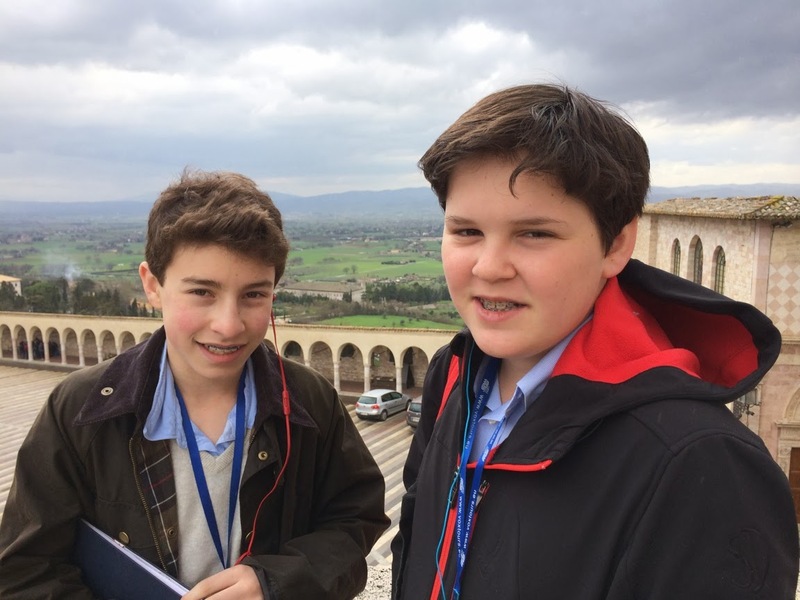 From atop the Campanile, the boys reflect on their climb and the spectacular view of Florence. 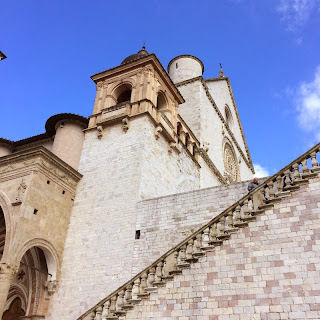 I'm not sure there could have been a more perfect day for a climb. 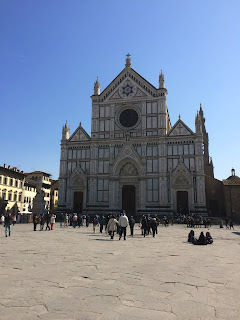 The temperature was cool and the sun bright; crowds were minimal and the bells tolled loud. All the boys made it to the top and back down again. 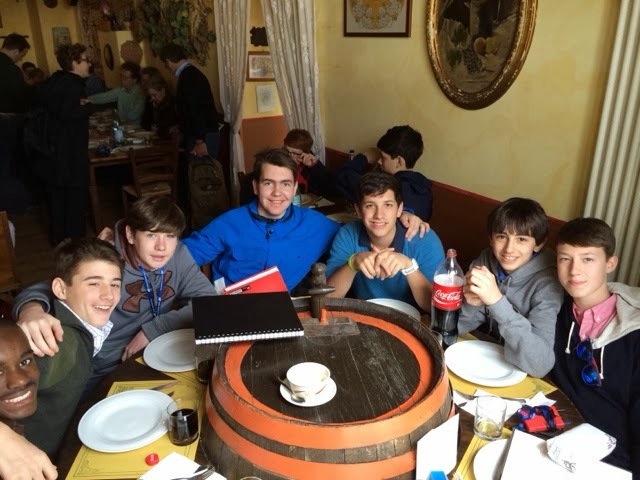 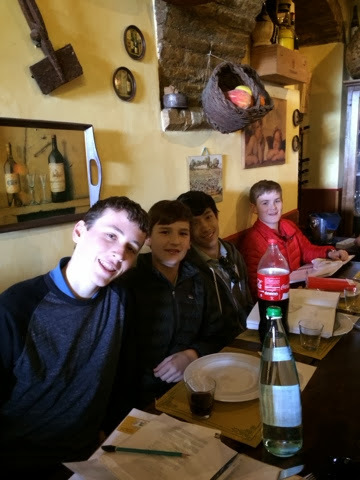 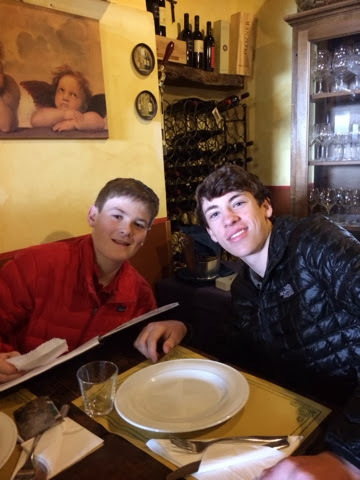 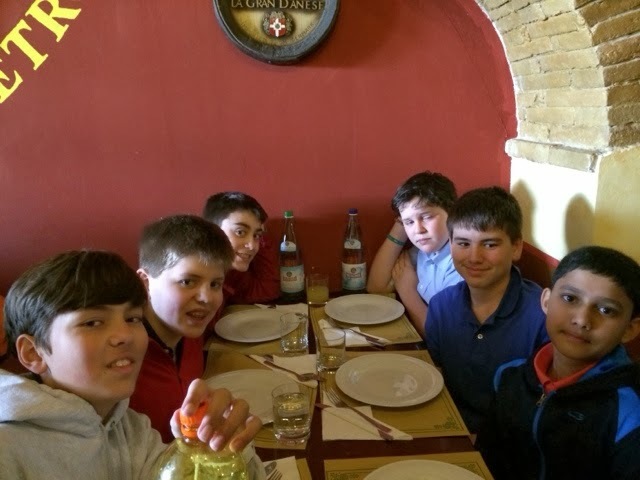 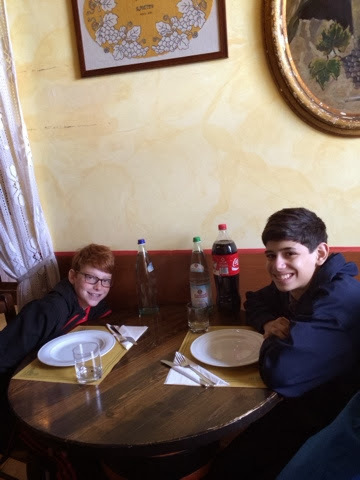 Boys enjoying lunch in back of S. Lorenzo at Trattoria Porcospino. 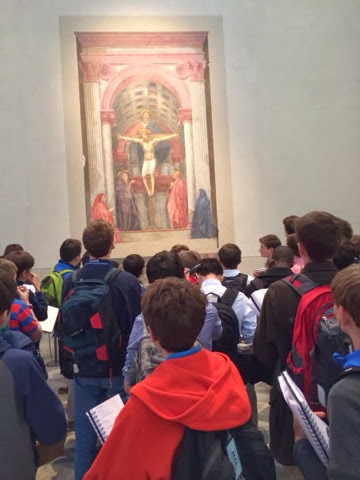 The boys viewing Masaccio's Holy Trinity and Giotto's Cross. 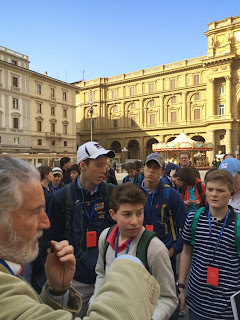 NM presents Ospedale degli Innocenti in the piazza of the same name. 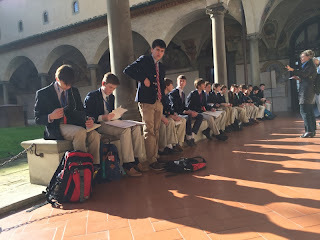 Sketching in the cloister of S. Marco after viewing Fra Angelico's Annunciation. It's a beautiful day. 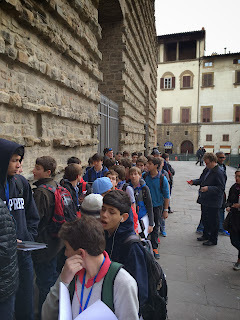 Early Sunday morning. 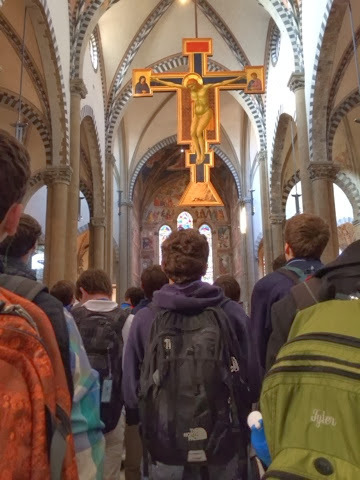 Heading off to San Marco and mass. 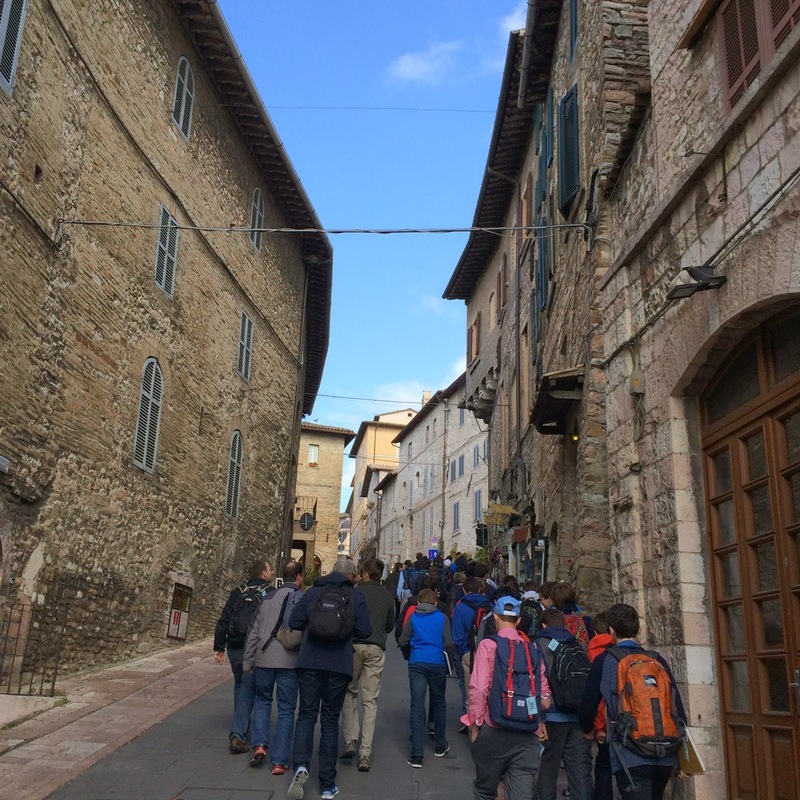 The boys climbing the medieval streets of Assisi to the basilica. Some boys at S. Francesco's upper basilica after a light shower.